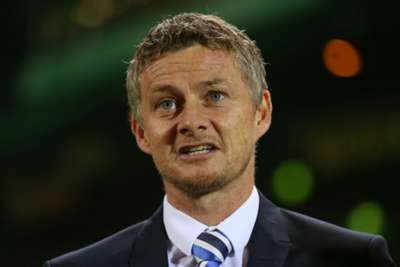 Molde have given manager Ole Gunnar Solskjaer their blessing to take the Manchester United job on a temporary basis before he returns to his permanent post in Norway. Ex-United striker Solskjaer has been confirmed as Jose Mourinho's successor on a caretaker basis until the end of the 2018-19 season. At that point, the 45-year-old Norwegian will return to Molde, with whom he signed a new contract until 2021 only 16 days ago. The Eliteserien campaign begins in March, so Erling Moe will take charge of Molde until Solskjaer returns from what is effectively a managerial loan to Old Trafford. Molde released a statement on the unique situation on their website on Wednesday, shortly after Solskjaer's appointment at United was confirmed. "That Manchester United ask Molde FK to lend the manager is by itself an event, and not least a statement of trust for both Ole Gunnar and Molde FK," said chief executive Oystein Neerland. "We are positive about lending Ole Gunnar, we wish both him and the club success. "This is a big opportunity for Molde FK, we think it will be developing and helping to put Molde FK further on the football map." Solskjaer said that he would be keeping tabs on how Molde do while he is in England. "In football, you never know what can happen - we get proof time after time," he added. "This is an opportunity I had to take. I am looking forward to leading Manchester United until the summer. "At the same time, I will follow closely what is happening here at home. The end of the season this year gives us hope for another good season."